I have been painting outdoors for many years in the American west. Most of my paintings are drawn from scenes around my home in Silicon Valley. 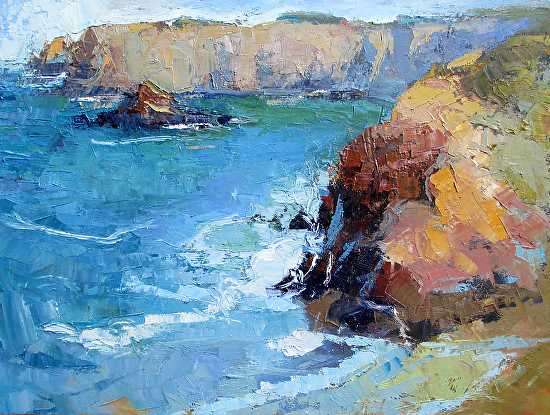 These paintings reflect my love of the local landscape and the special light of California. Walk in the Winter woods, 12 x 12 inches, pastel. Mendocino Colors, 30 x 40 inches, oil. 11 x 14 inches, oil. sold. Jughandle Beach, 18 x 24 inches, oil. Windy Hill in the Sun, 30 x 30 inches, oil. 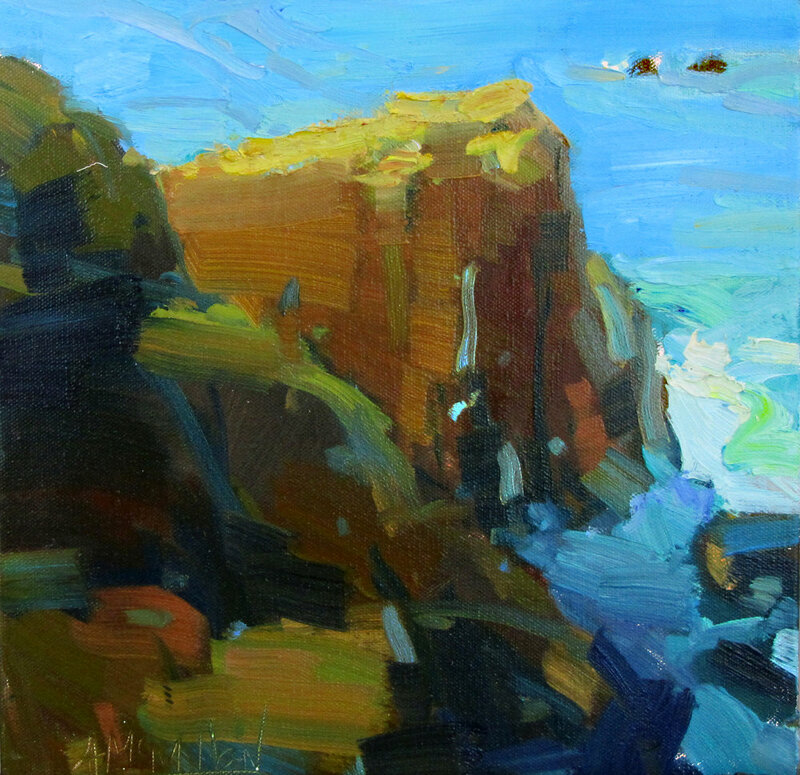 Light at Rocky Point, 20 x 40 inches, oil. 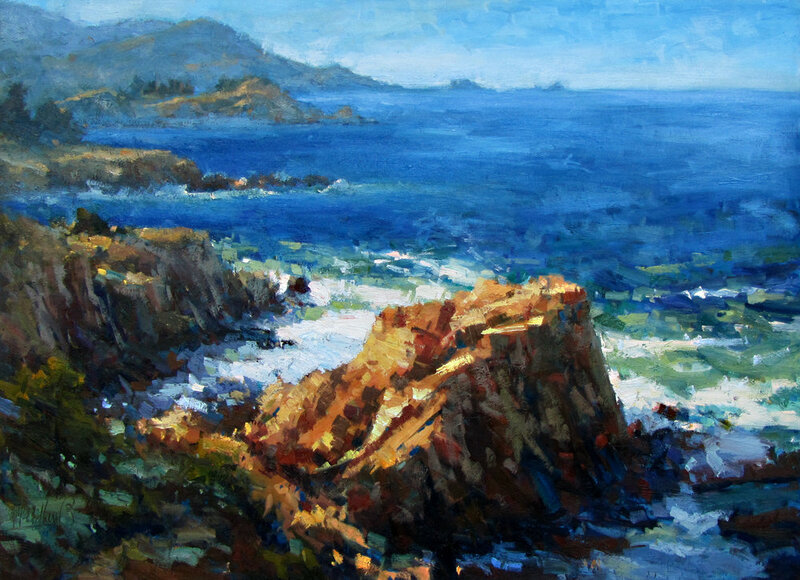 Point Lobos Waters, 24 x 18 inches, oil. San Gregorio Valley, diptych, 16 x 40 inches, oil. Rocky Point Morning, 12 x 12 inches, oil. Mendocino Shadows, 10 x 10 inches, oil. 36 x 48 inches, oil. 2016. 36 x 48 inches, oil. sold. 20 x 20 inches, oil.